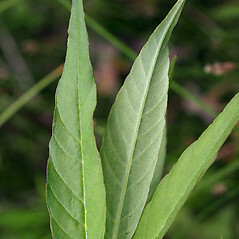 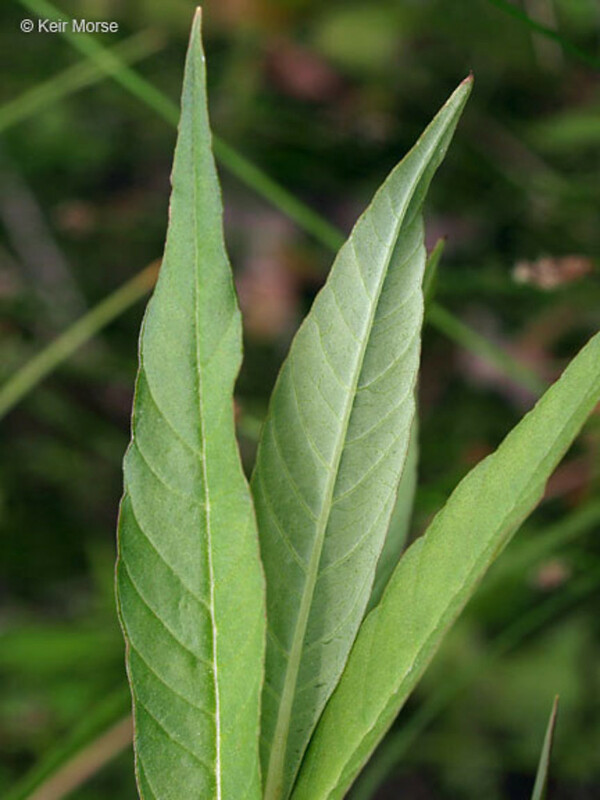 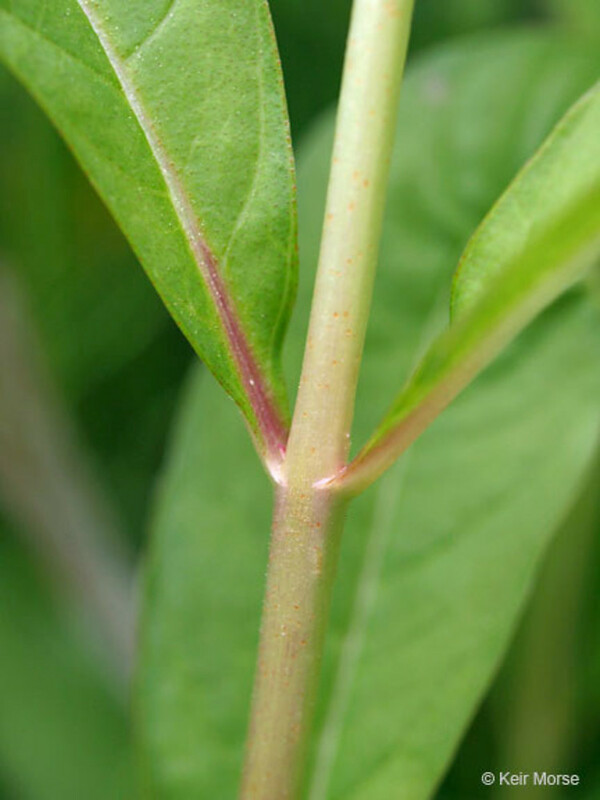 The Iroquois used tufted yellow-loosestrife as a wash and poultice to stop milk flow in mothers who were finished nursing. 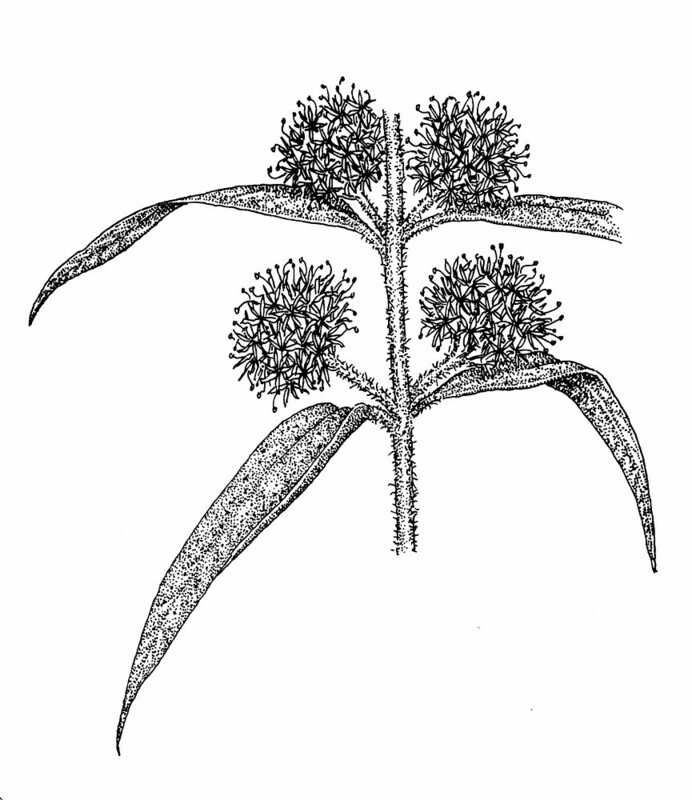 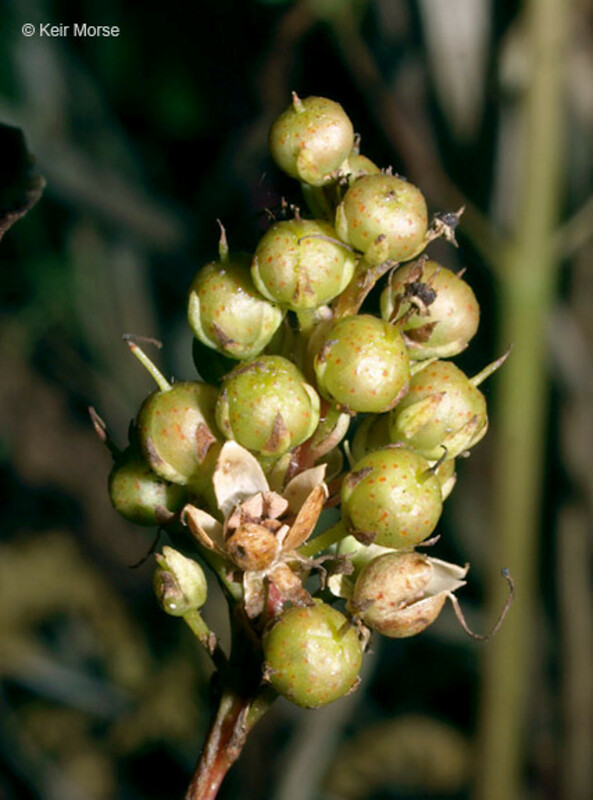 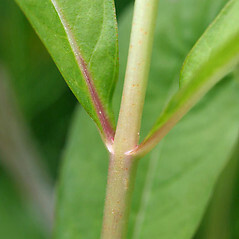 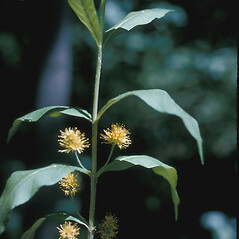 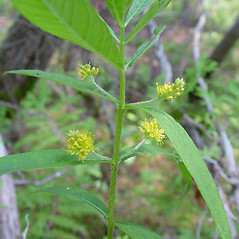 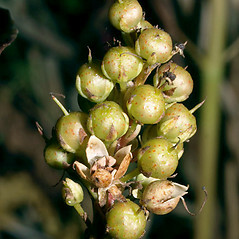 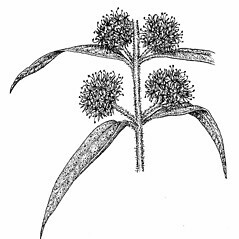 flowers borne in open racemes from the apex of the plant, with 5 petals (vs. L. thyrsiflora, with flowers borne in short, dense racemes emerging from the middle portion of the stem, with 6 or 7 petals). 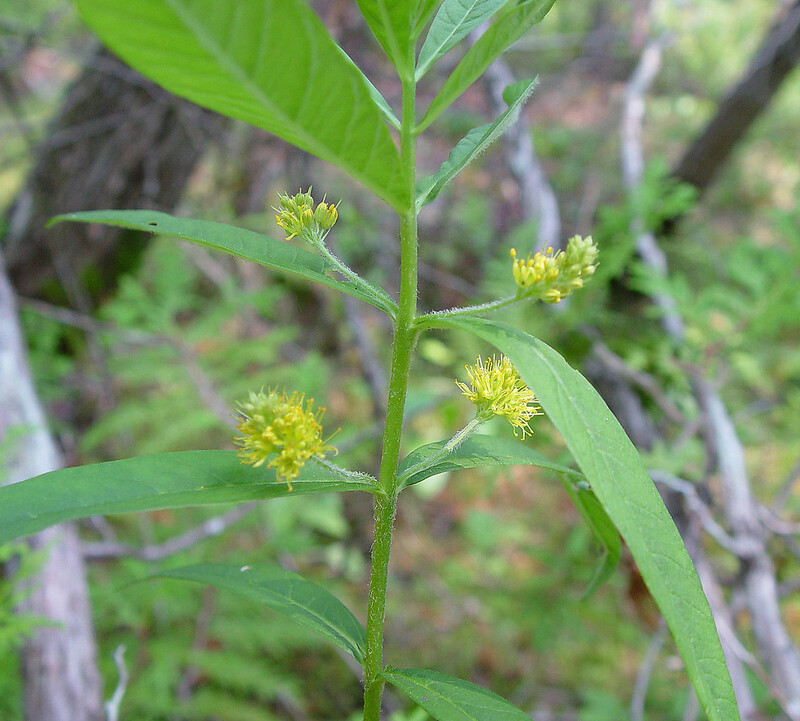 tufted yellow-loosestrife. 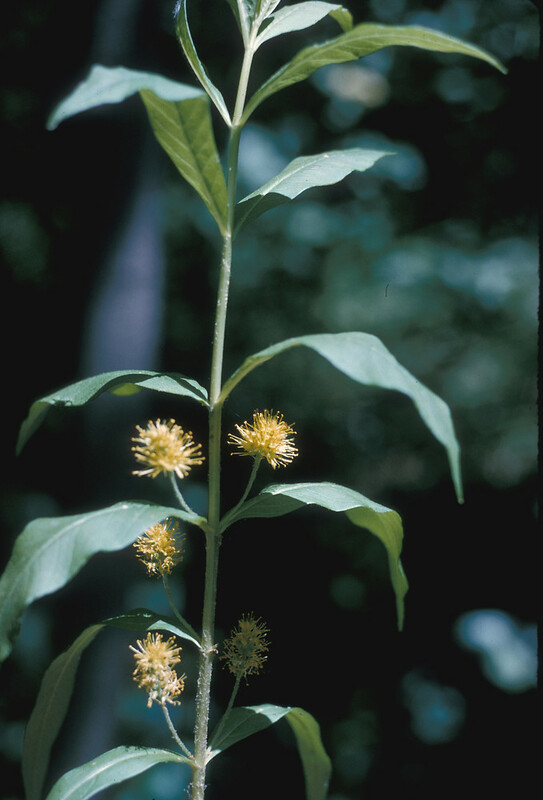 Naumburgia thyrsiflora (L.) Duby • CT, MA, ME, NH, RI, VT. Swamps, peatlands, lake shores.